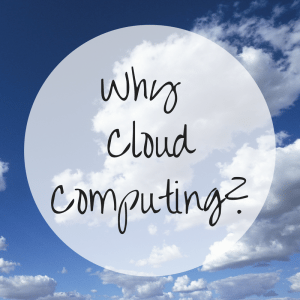 Cloud computing is a fast growing option for many businesses. The flexibility, affordability, and reliability of a virtualized subscription service has made companies of all sizes and industries make the transition as they aim to grow their business. But is it really worth it? Here are 4 great reasons why many companies are making the switch. It’s accessible from anywhere so long as you have internet access. The ease of access brought about through cloud services allows CEO’s and employees alike to access their desktop, software, and data from anywhere there is an internet connection. Whether you have sales people using their CRM on the go or you simply want to have access to your desktop anytime, anywhere, this is one of the number one reasons why people sign up. Plus, it brings synergy to the office, allowing businesses to share access to cloud storage options based on set permissions. For example, if you’re working on a project that collaborates with employees and third party vendors or partners, you can unify the data through one shared folder that you’ve given those team members permission to access. No matter where you are, your team is always connected. Easy regulation of permissions and distinct identity requirements heighten security. If you have a growing company that requires quick and easy management of access permissions, cloud services are great for that! It keeps data off of the hardware and in the cloud where it’s less likely to be hacked into or stolen. Whether you need to give a newly hired or promoted employee access to restricted information or you’re looking to remove a former employee from having access to sensitive data, these adjustments can be made with a few simple clicks. Even if a hacker, thief, or former employee gains access to company hardware, they will not be able to access your cloud data without possessing explicit login permissions, such as usernames and passwords. Your data is saved on an external, robust server located in a fortified data center. When you opt into cloud services with a reputable and well designed data center like Skylink, you can count on your data and services to be accessible 24/7, even in the worst possible weather. With industrial-strength technology housed inside a nondescript building fortified to withstand 200 mph winds, internal fires, and power outages, we guarantee your data will remain safe and available to you when you need it. In fact, our facility also has a designated area where customers are welcome to work when the power or connection goes out at your business or within the general area. Click here to learn more about Skylink’s phenomenal security and protection. It’s environmentally and financially friendly. When you switch to cloud computing, you save in both energy consumption and overall costs. Instead of having to purchase and maintain your own servers—which can be expensive and require their own climate control to run efficiently—you simply pay a flexible monthly subscription fee for the services you need. The best way to decide whether or not cloud computing is best for your business is to discuss it with an IT professional. Skylink Data Centers is run by real IT professionals who are experts in their field and easy to get ahold of. In fact, we’re the friendly voice answering the phone every day! So give us a call at 239-403-2950 and let’s talk about your business needs.